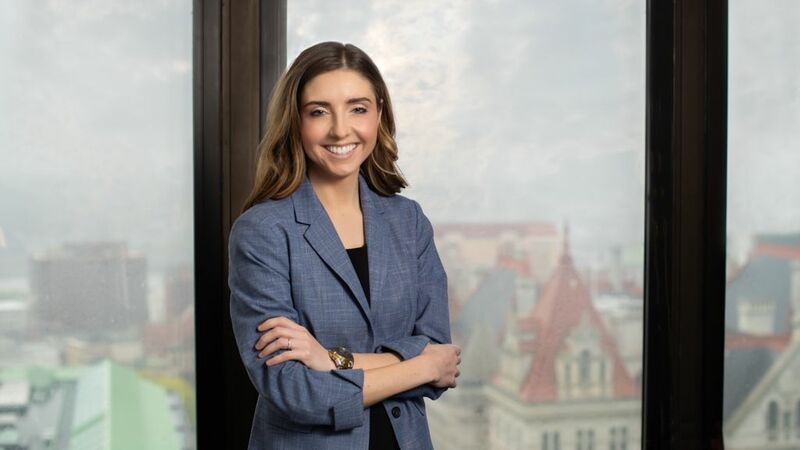 Erin M. Callahan joined Whiteman Osterman & Hanna LLP in November 2014 and is an associate in the Firm’s Labor and Employment Law, Education and Litigation, and Appeals Practice Groups. Ms. Callahan represents employers, both public and private, in matters including federal and state court litigation, administrative proceedings and alternative dispute proceedings. Additionally, Ms. Callahan works with employers on managing the broad array of issues which may arise throughout an individual’s course of employment, provides management training and conducts internal investigations. Ms. Callahan is admitted to practice in the State of New York, the United States District Court for the Northern District of New York, the United States District Court for the Western District of New York, the State of New Jersey and the United States District Court District of New Jersey. Ms. Callahan currently serves a member of the Saratoga Bridges Foundation Board. Ms. Callahan, originally from Saratoga Springs, New York graduated from Seton Hall University and received her Juris Doctor degree from Seton Hall University School of Law in 2011, where she was named a Jackson Lewis Employment Law Scholar and received the ABA/BNA Award for Excellence in Labor and Employment Law. Prior to joining the Firm, Ms. Callahan was an associate at Adams Gutierrez & Lattiboudere, LLC in Newark, New Jersey, where she concentrated in Labor and Employment Law and Education Law representing employers in federal and state litigation, providing counseling and management training, serving as general counsel for and representing some of the largest school districts in the state. Ms. Callahan also previously served as Law Clerk to the Honorable Edward V. Gannon, New Jersey Superior Court, Civil Division (Sussex County).